Perseverance – What more can you do? Take a close look at the center of the picture. 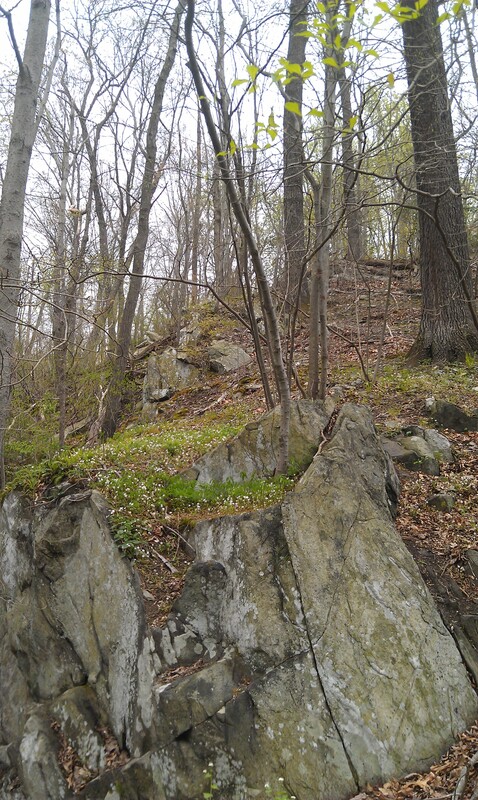 Notice the trees that are growing on the rock? How can a tree successfully find footing on solid rock and actually thrive too? To me this is the perfect analogy to our own lives and how we are always invited to ponder the question how far we can and perhaps have to push ourselves. Just because life throws challenges at us, does not mean it is impossible. Think about it. How many challenges during your life’s journey have you not been able to master in some way shape or form? We are made to grow with our challenges. Sometimes, it is the challenges that actually made us the better for it in the long run. The very first time my body and mind had been challenged beyond what I thought my mind and body could handle was during my stint at the German Army. Back then young men were drafted to serve their country in the military or also in other non-military functions. During the first three months we needed to go through boot camp. That meant many forced marches with full gear and at times lasting for more than half marathon distances. When comrades could no longer go on, we had to carry them and their gear. I sustained many a blister and not to burden my friends, I kept on going. During athletic exercises I sometimes thought that my lung would come through my throat. Jumping, push-ups, crawling, running, walking – you name it and we did this in any weather that you could imagine. Pain, lack of sleep and constant drilling by the superiors continually stretched my mind to the maximum and just when I thought it could not get any worse it usually did. After a while my brain realized that this state of being could not only be endured, it was actually a sustainable process. There was an externally influenced push and the mind and body adapted. The amount of adaptability and flexibility still amazes me to this day. How about you? Make time to reflect upon your own tough challenges and imagine how you will look back at this incident in two years from now. I venture saying that most things are not as dramatic as you fell about them right now. If you still feel pretty down I suggest that you give a trip down to the local children’s hospital (e.g. CHOP in Philadelphia) and visit the department taking care of children with cancer. Be ready to be amazed because those little ones taught me a lesson or two about what more I can do. Here is a story that illustrate how much we can do regardless of how bad we may feel ourselves (click to view). Have tissues handy as your eyes will start leaking when you read Jessy Rees’ story.